Included among the 15 winners of the 2018 Prix du Québec, celebrated November 21, was preeminent McGill Professor Nahum Sonenberg, who was awarded the Wilder-Penfield prize for biomedical research. The Prix du Québec is considered the most prestigious award attributed by the Government of Quebec in cultural and scientific fields. The basis for this lifelong pursuit was shaped at the Roche Institute of Molecular Biology in New Jersey where Prof. Sonenberg completed his postdoctoral fellowship. It was there he made his ground-breaking discovery, identifying the role that the eIF4E molecule plays in translating genetic information into proteins, transforming the scientific community’s understanding of protein synthesis. Some 40 years later, the Gilman Cheney Chair in Biochemistry at McGill University’s Faculty of Medicine and member of the Rosalind and Morris Goodman Cancer Research Centre, continues to make important contributions to our understanding of a wide-ranging number of diseases based on research that has sprung from that revolutionary initial discovery. 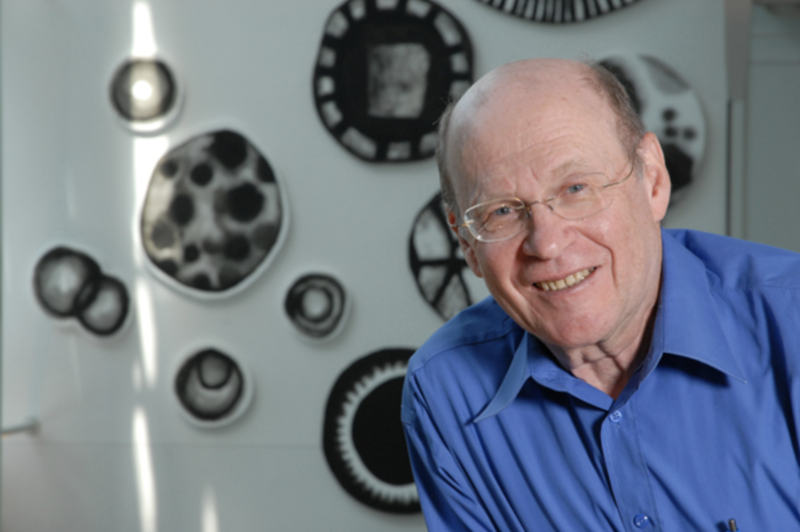 Born in a camp for displaced persons in Germany after the end of the Second World War, Prof. Sonenberg grew up in Israel where he received his PhD in Biochemistry from the Weizmann Institute of Science in 1976. Following his postdoctoral work in New Jersey, he moved to McGill in 1979. His research has had an impact on our understanding of diseases from cancer to autism. He has been a fellow of the Royal Society of Canada since 1992 and was named to the Order of Canada in 2010. He has been recognized previously with a number of prestigious prizes including the Gairdner International Award in 2008, the Royal Society of Canada’s McLaughlin Medal in 2013 and the Wolf Prize in Medicine in 2014. In the latest recognition of his decades of extraordinary contributions to advancing science, yesterday the Government of Quebec bestowed on Prof. Sonenberg its highest citation for accomplishments in cultural and scientific fields, the Prix du Québec, awarding him the 2018 Wilder-Penfield prize for biomedical research. The Prix du Québec is meant to recognize the careers of women and men who have demonstrated a passion for their calling. Winners are individuals who have stood out for their creative or innovative spirit and whose work has contributed to the influence of Quebec around the world and to the evolution of Quebec society in their respective fields. The Prix have been awarded every year since 1977. Along with Prof. Nahum Sonenburg, four other members of the McGill community were honoured with a Prix de Québec on November 21. Emeritus Professor François Ricard was named winner of the 2018 Prix Athanase-David in the Cultural category. On top of his work in academia teaching French and Quebec literature at McGill from 1971 to 2009, Prof Ricard is a highly regarded essayist, critic, columnist, publisher and author of a dozen books. His commentary can be read regularly in newspapers, periodicals and literary journals; and heard on radio. The Prix de Québec citation, praised Prof. Ricard for “actively contributing for over forty-five years, through his activities and writings, to the life and influence of Quebec literature and literary culture.” Read the full citation (http://prixduquebec.gouv.qc.ca/prix-qc/desclaureat.php?noLaureat=548). As well, three McGill alumni received Prix de Québec (Click on the name to read the citation).